Marehay Proposed Build is for 400+ houses and takes up over 60 acres of green fields and greenbelt land! 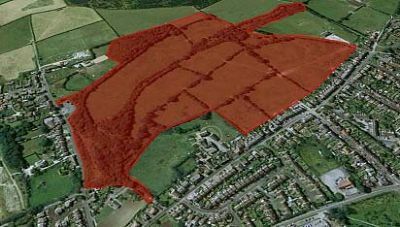 THIS IS THE 60 ACRES OF LAND BEHIND HOUSES ON WARMWELLS LANE (KNOWN TO AVBC AS AREA GR4) WHERE 400 NEW HOMES ‘COULD’ BE BUILT! NOW IS THE TIME TO TELL AVBC WHAT YOU THINK! 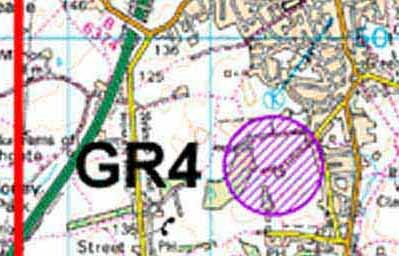 We don't know if you're aware of this, but AVBC have identified a large piece of land in Marehay as a new 'Potential Strategic Housing Site'- area GR4 on a map that we’ve found on their website! They are asking for residents comments on this - we have to submit our comments by 30th September! We don't think many residents actually know about it! It's important that quite a few residents respond, otherwise we could see 400 homes and an industrial estate built on our Green Belt! If we do not object, AVBC could include this proposal in their forthcoming Local Plan! Views of residents have to be sent to Community Planning Team, Amber Valley Borough Council,Town Hall,Market Place, Ripley. DE5 3BT. Below are some ideas for your response. Or, just simply write, e-mail or telephone with your own views. According to AVBC's Local Plan (2006), this area (ER2 on the map within the Local Plan) is designated Green Belt land. The current Government's National Planning Policy Framework proposes a new designation to protect local green spaces in need of special protection.. Furthermore, the Framework explicitly attaches great importance to Green Belts in safeguarding the countryside from encroachment and checking the unrestricted sprawl of large built up areas. Given that the eastern boundary of area GR4 adjoins existing residents' back gardens, on Warmwells Lane, then any development involving that particular boundary WOULD constitute 'urban sprawl'. Development on Green Belt land is clearly in conflict with environmental and other safeguards within the Government Framework!. There are existing mineshafts and underground tunnels in GR4 that have not been remediated. Many parts of the area seem to be very poorly drained. Please also note that the adjoining 'Denby Hall Business Park' was also built on the same mineshafts and tunnels and now has a sign stating 'Danger, Mine Gas!' on the site. For any would - be developer, this is a major constraint to the location of new industry and new housing supply! With regard to supply of affordable housing demand-Marehay already offers an average house price that is 17.5% lower than the average house price in the borough. Homeless applicants requesting 'accommodation' in Marehay, fell to just 0.07 people per 1000 of the population in 2009/2010, as opposed to the borough average of 30 people per 1000 of the population. (data supplied by AVBC's 'area profile for Marehay, 2011'). Thus,there appears to be little or no demand for such housing in Marehay! Attention must also be drawn to two incompleted housing developments. The Church Farm Development (behind Ivy Grove Surgery), has houses that have been standing empty for at least 2 years. Further to this, the former Aeromatics Site (next to Marehay Garage on the B6179), has planning permission for another 110 new homes. It would be more sensible for AVBC to 'see these two projects through' rather than identify yet another area for potential strategic housing! To include area GR4 for purpose of providing strategic housing, (in AVBC's new Local Plan/Core Strategy) would remove the unique village identity of Marehay, forever. We do not want to be part of a large, built up conurbation! We do not have one single shop in the village. Local neighbourhoods in Ripley and Marehay are ranked within the most health deprived 5% in the borough of Amber Valley. (source-AVBC's 'area profile 2011'). There appears to be an existing medical under-provision for local residents. Building more new homes will only add to this problem. The road system in Marehay was simply not designed to cope with the increased amounts of traffic that use them. Any large development would have a major adverse effect on an already overloaded road network! In addition to this,access to the GR4 potential strategic housing site would almost certainly have to occur at the already hazardous bend (where Warmwells Lane merges into Brook Lane).T his,combined with the fact that the B6179 is used by increasing volumes of cars, vans and HGVs,as an alternative route to the A38, would surely mean that the extra traffic generated by any extra housing in area GR4, would merit a major review of the road network in and around Marehay! If, as predicted, access to area GR4 would occur via the 'track' that leads to Marehay Cricket Club, then our village cricket facilities (that cater for both adult and junior cricket teams) would be forced to re-locate. Members of Marehay Cricket Club have invested large amounts of time and money to improve the current site and facilities! We hope that the AVBC Community Planning Team will give serious thought to these comments and that potential strategic housing area, GR4, will be withdrawn from AVBC's forthcoming 'Core Strategy' and the next Local Plan.